Project Tiny is a new modular Unity runtime and Editor mode designed to build games and experiences that can load instantly and without install. 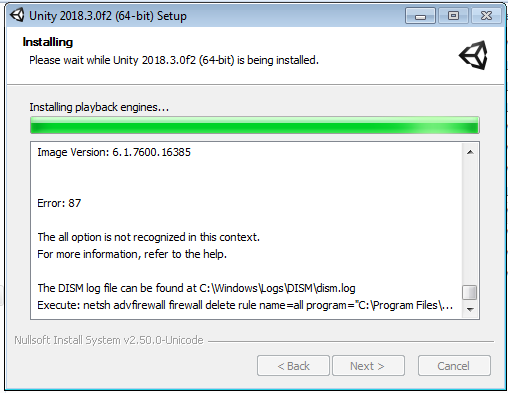 As of today, it’s available as a preview package for Unity 2018.3, called Tiny Mode, via the Package Manager. Project Tiny gives developers the tools they need to quickly create quality 2D instant games and playable ads that are small in size and have a blazing fast startup on a wide range of mobile devices. Check out Tiny Arms Revenge, an instant game created with Project Tiny. The initial transfer gets the game started in only 969 KB compressed data (162 KB engine, 199 KB game code, 597 KB of art). An additional 861 KB in audio files loads in as the game plays totaling 1.8 MB for the full project. Please note that project Tiny is currently in Preview and is considered an unfinished product until its public release next year. During the Preview period, we are looking for feedback from a broader range of customers to ensure that the feature set, workflows, performance, and stability meet your needs. We plan on a number of iterations between now and the public release and look forward to hearing your feedback to help us improve the product. While you are welcome to use the product in production, please note that Project Tiny is still in Preview and ongoing development can introduce changes and bugs. Project Tiny is built using a modular architecture, letting you pick and choose what functionality to include. It uses a pure data-oriented ECS approach which results in high performance with a small code size. The current feature set is focused on building instant 2D games and playable ads. In future releases, additional features will be added to build instant 3D and AR games and experiences. You can find more detailed feature and functionality information on our Solutions page. Our data-oriented ECS architecture lets us achieve exceptional performance. For example, on an iPhone 6S the Tiny runtime can display 3-4 times as many moving, animated sprites while maintaining 60fps compared to other leading 2D engines that target the web. We also see around 350-600 millisecond engine load times on similar hardware. We achieve this performance by reducing, and in some cases entirely eliminating, engine overhead which leaves more time every frame for your own gameplay logic. Leveraging this properly can allow you to produce richer content, or reach a broader set of devices. Unity is working on bringing extremely high performance to C#, such as with our Burst compiler work. We are also working on allowing developers to write C# code while still resulting in small code size. While Project Tiny currently uses Typescript for writing game logic, it will be replaced with C# during the Preview period. With C#, we will be able to produce even smaller codes size and better performance, as well as provide an improved debugging experience. We’ll also be able to take advantage of technologies such as Burst, even when targeting the web. It is important to note that we will be removing Typescript once support for C# is ready. Project Tiny is delivered as a package called “Tiny Mode”. To install it, open the 2018.3 beta Package Manager, enable Preview Packages, and install Tiny Mode. It can be used with all Unity licenses – Personal, Plus, Pro. You can find the Tiny User Manual, API documentation and sample projects in the preview package download. There is also a playlist of training videos below that will help you get up to speed with Tiny. Visit the forums for more information or to provide feedback. We look forward to hearing what you think! I can certainly see the benefit in WebASM, but at the same time, having Typescript should make it trivially easy to integrate an app created with Tiny Mode into a broader web platform. Getting rid of Typescript will mean needing to reimplement all these standards, which would be a lot of work. And yes, I’m sure many of them would end up for sale at Assetstore.unity.com , but going for short-term profit this way is going to push a lot of potential customers away — bringing them in on a quick and easy way of generating . Another vote to keep typescript an alternative option to c#. Does this have backwards compatibility with third-party SDKs that support Unity 2018.3? Hi Thomas, it’s very unlikely as there are many differences between Unity and the Project Tiny. For instance, the language, your SDK’s are probably C# and Tiny uses TypeScript for the moment. Another consideration is that some systems you are used to use in Unity are not available in Project Tiny (the full Physics engine, for example). Going full circles… Flash Player all over again. Disagree — this fixes the problems with flash player but retains the benefits. It compiles down to JS, and the source is viewable. This is not nearly similar to Flash Player. Why not keep TypeScript support? At least in the company I work for pushing Unity would be much easier if TypeScript was an option. Moving webdevs to Unity + TS would be a lot easier than Unity + C#. Seems to be compiling to asm.js and added inline. No WebAssembly here as far as I can tell. For more info in WASM vs asm.js see the following forum link. Eventualy ECS and project tiny will marge and ECS will get similar editor. I see that nearly half of that build is because of audio. Will this support tracker audio formats like .xm or .it? Unity does, but in something like this where file size is of high importance, it seems like it would be really helpful. Works with 3D or it’s limited to 2D? Shaders? I’m thinking more on multimedia web apps than in games actually. Just installed 2018.3 beta, open up Package Manager to install this and it’s indefinitely stuck at “Loading Packages”. I am not able to load the experimental packages because it never loads them. No errors, just infinite loading. Have you heard wasm that you can compile now many languages like rust cpp c sharp java down to web assembly code and run in browser near native speeds and wasm is open standart in mainstream browsers. Yeah in Chrome on my S7 it takes about 10 taps to get the Play button to register, so once in the game isn’t really playable. I had the same problem with having to press the play button a lot. Does it only work with ECS? Yes, this is a ECS first approach but now with a full editor UI integration. The size and performance wins are the benifit. A lot of work has gone into making this accessible and very familiar to Unity devs. WoW! Hope to support wechat minigame, plz! Thank you! Does this support building to the iOS App Store? Does it support all of the platforms that normal Unity can target? you say 2 videos, but there’s only one. Thank you, and good catch! There is actually a playlist of 9 videos total. We will edit the text ASAP.